Get ready to let out that sigh of relief as you put your feet up on the opulent, urban and sophisticated South Bay Ottoman, shown here in elegant white. A necessity in the versatile, modern South Bay Collection, our gorgeous Ottoman has many uses as an additional seat, table area, and to pop those feet up after a long day! 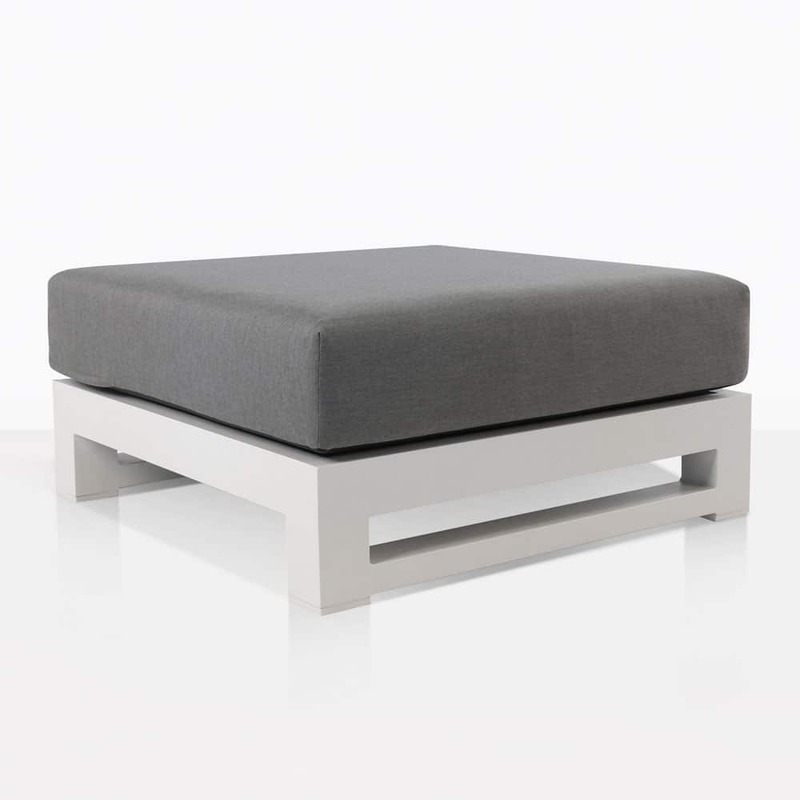 The South Bay White Ottoman features all these qualities, with its robust sleek white frame made from attractive and robust powder coated aluminum, which is then donned with a plucky, plump cushion to really make the most of your comfort! This a piece that can be placed in amongst other furniture or integrated into the wider South Bay Collection. Whether you add it up against a relaxing chair on a sunny porch or against the Right or Left Arm South Bay Sofa for a fabulous chaise effect, this Ottoman will contribute elegantly and functionally to any setting! Perhaps you have a big concrete pad in an industrial apartment setting. Make the most of your contemporary palace and place two opposing Sectional Sofas facing each other, each with two Ottomans in front for a modern, sophisticated and slick suite that encourages communal living in the style you are accustomed to. Our South Bay Collection is made from high end, quality materials that ensure long life, and exceptional comfort in the great outdoors! 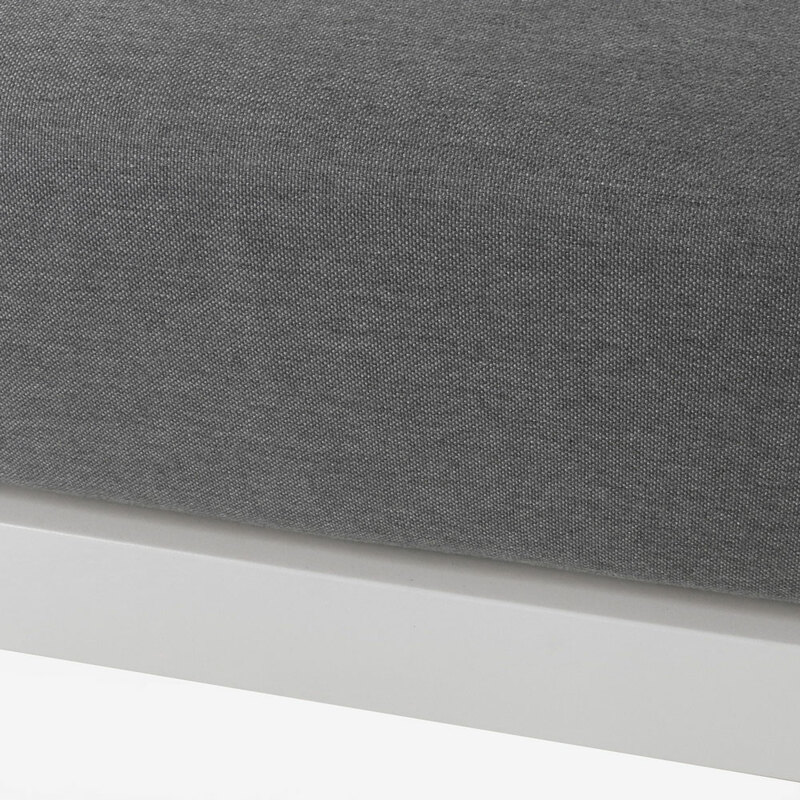 Marine grade fittings, robust aluminum (powder coated for extra strength) and UV treated sumptuous Sunbrella® fabric all adds to a quality product you can rest easy in! 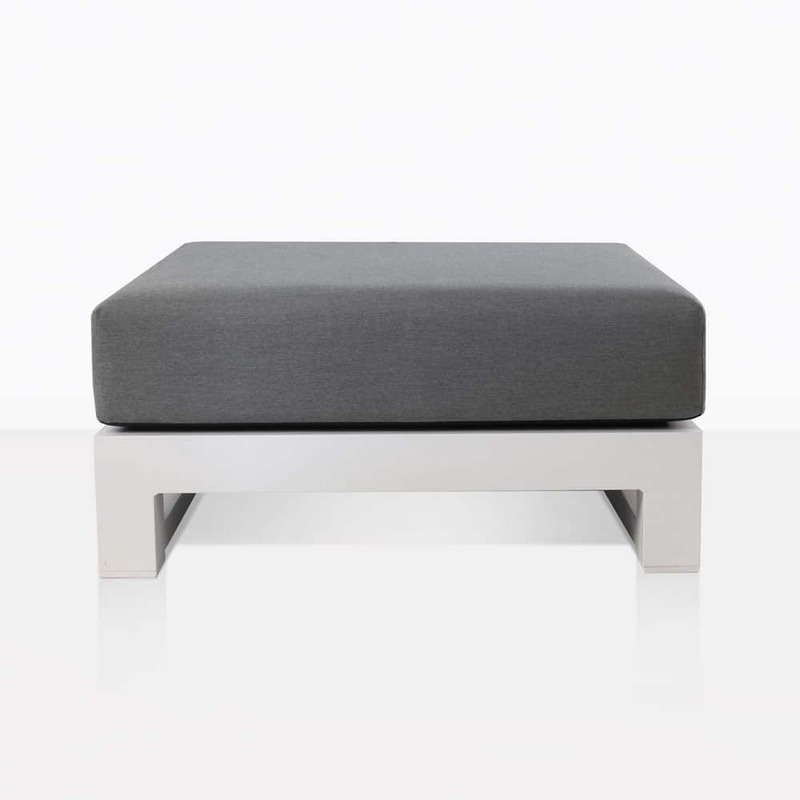 Our South Bay White Ottoman is also available in dark charcoal. Contact us today to order yours!